Cauliflower has been on sale this week – 2 heads for $3! I bought a couple to have for snacks. 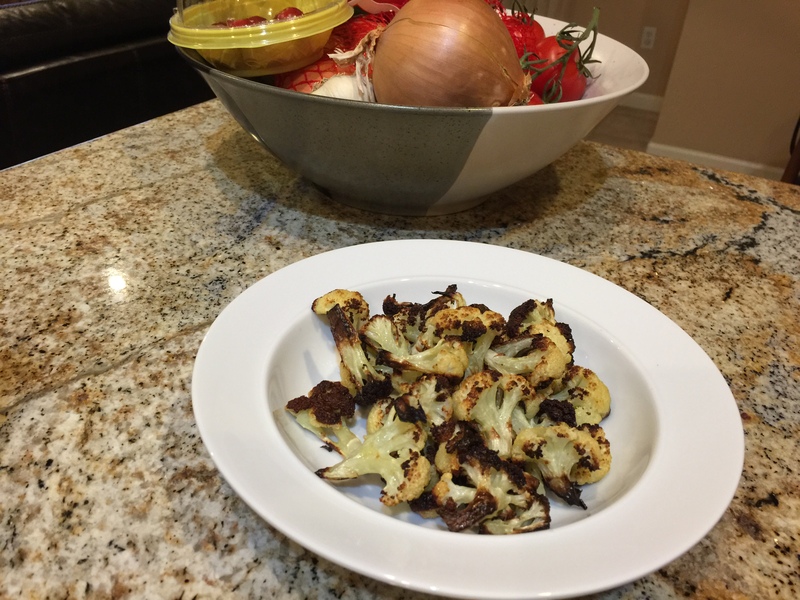 John and I enjoy our “cocktail hour” and instead of eating some chips or cheese and crackers with our glass of wine sometimes I make roasted cauliflower. After preheating the oven to 500F convect, I pop in a sheet tray of cauliflower florets that have been tossed in olive oil and salt. It takes 15 or so minutes. When it looks like it is burnt, it’s time to enjoy your vegetable snack. So good! Here is our pot of fish stew left over from last week. 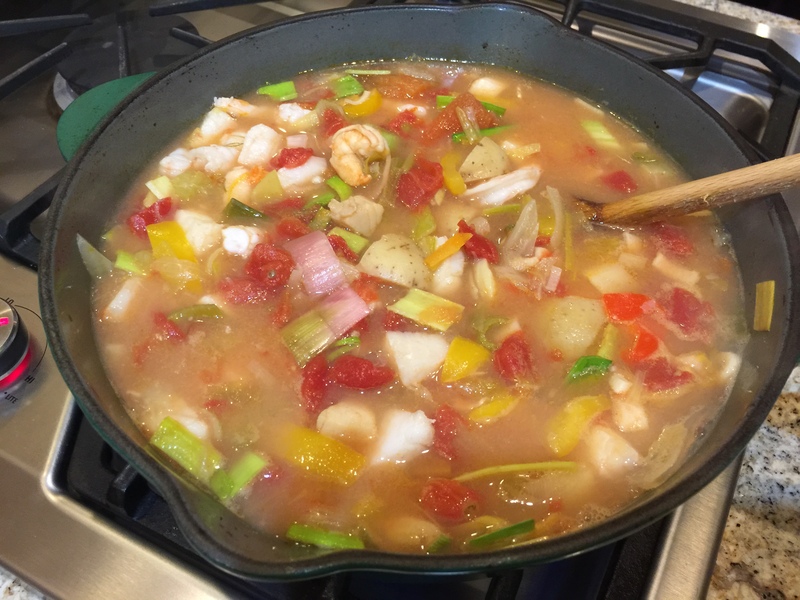 John added some additional cod and shrimp and I added a leek, drained tomatoes, celery, and a half of a yellow pepper. We warmed it up and enjoyed it a second time. Now there are more leftovers! I think we’ll freeze those. 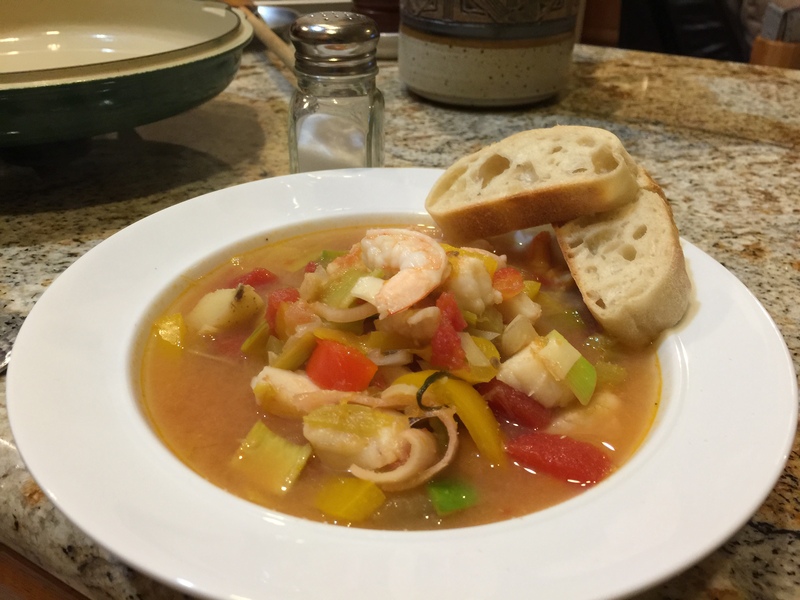 This entry was posted in Fish, leftovers, pescatarian, Shellfish, Vegetables and tagged cauliflower, fennel, fish stew, leeks, Pacific cod, shrimp. Bookmark the permalink.